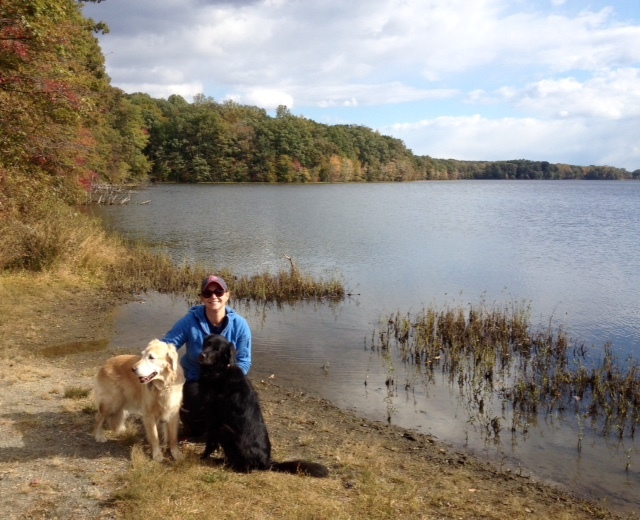 If you’re looking for a scenic, flat terrain, dog-friendly hike within a 30-minute drive of the city, I recommend Burke Lake Park in Virginia’s Fairfax County. The trees are just starting to turn color, over the next few weeks it’s going to be a really pretty and peaceful walk. The park is located at 7315 Ox Road, Fairfax Station, VA 22039. 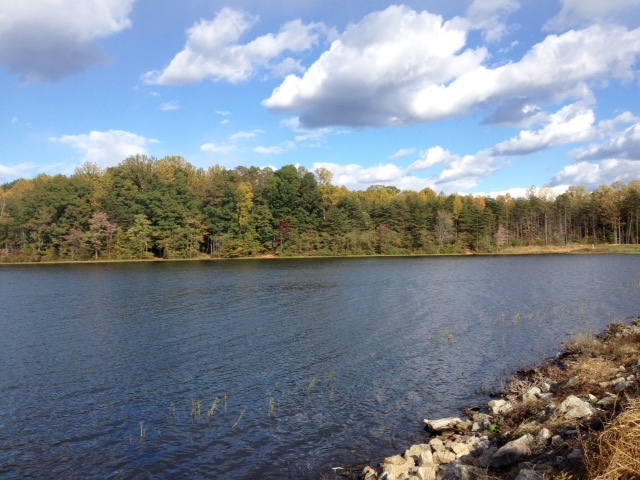 It encompasses 888 acres, including a 218-acre lake. 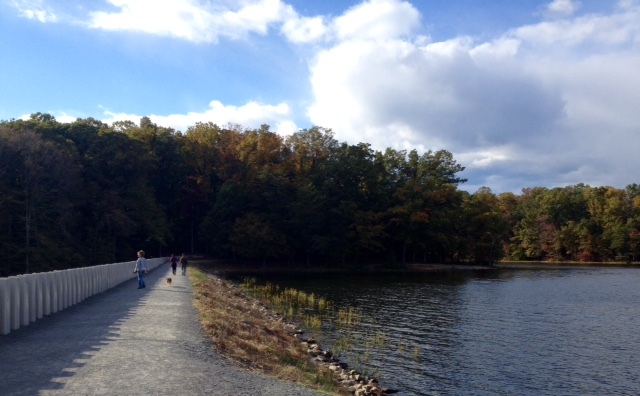 We hiked the Burke Lake Loop Trail, which is a 4.7-mile paved and gravel path all around the lake. Waterfront benches are placed in many places along the trail if you want to take a break and take in the views. There were plenty of runners and walkers (with and without dogs) as well as bikers on the trail in the middle of a Sunday afternoon, but not so many that you felt like you weren’t communing with nature. I imagine in the summer, however, it could get crowded. Leash laws are enforced. For the most part, anyone passing had the courtesy to give a “On your left!” warning call. April through October there is a $10 per car charge on weekends for non-Fairfax county residents. Be prepared to show your ID to prove residency. Once in the park there are a number of parking lots.